Meshuggah-Nuns! finds the sisters on an all-expense paid trip on the "Faiths of All Nations" Cruise. When the cast of "Fiddler on the Roof" (with the exception of the guy playing Tevye) gets seasick, the ship's captain asks the sisters and Tevye to put on a show. The result - Meshuggah-Nuns! 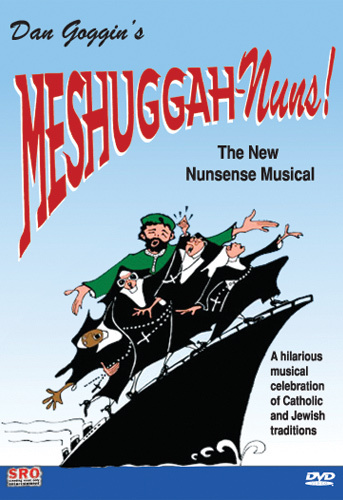 Hilarity reigns supreme on the high seas with songs like Say It In Yiddish, Contrition, In the Convent, and If I Were a Catholic. 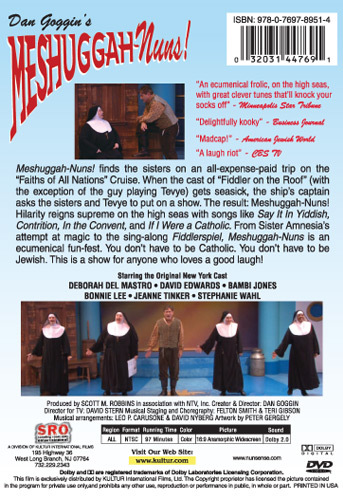 From Sister Amnesia's attempt at magic to the sing-along Fiddlerspiel, Meshuggah-Nuns is an ecumenical fun-fest. You don't have to be Catholic. You don't have to be Jewish. This is a show for anyone who loves a good laugh!